A superb design illustrating a guitar from our collection of guitar wall art to decorate your laptop and make it stand out. If you love playing the guitar and you have a laptop that needs some decoration then you have found the ideal guitar decal for you! 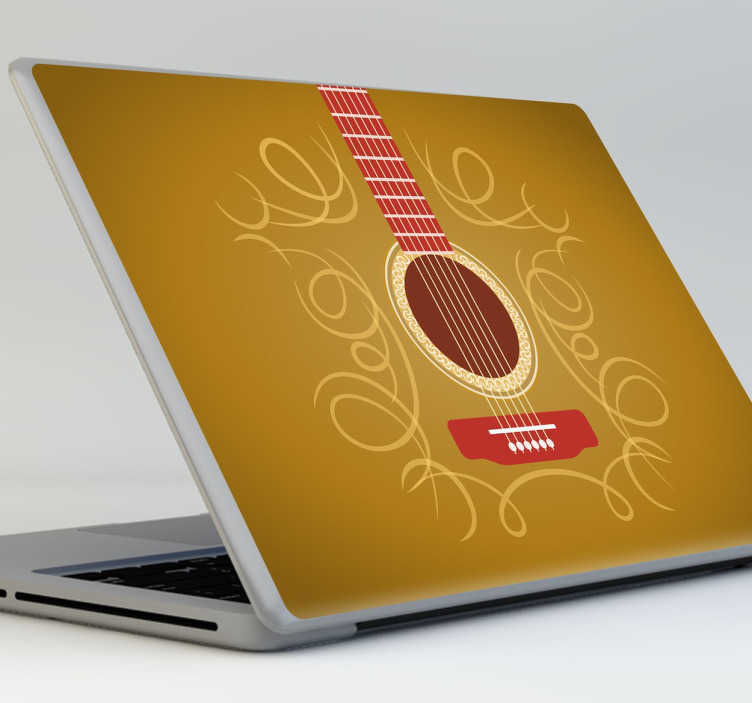 This guitar laptop decal for laptops is available in various sizes. Easy to apply and leaves no residue upon removal. Made from high quality vinyl.